We've been revisiting some of the classics around here this summer–dyeing batches of Queen Anne's Lace, listening to Peter Pan and reading about George Washington and Ben Franklin. We've kept up with a light school agenda, since our school is pretty light year-round. This summer Dan has been taking over a lot of the "school time" with Emma, and I've really enjoyed it! 🙂 I may even venture to say I'm becoming quite spoiled. Call us old-fashioned but Dan has been having Emma practice her penmanship. He came home from work one day with this list he called, "Rules of Civility" and he has her write one or two rules each day. Some of them are revisions from George Washington's rules of civility, and the others are his own creation. Some are things we are trying to address at home (Do not slouch at the table.) or when we are out (Do not run and play in Church.) And while in this isolated setting, they may sound uptight and strict, I can attest to the fact, that in just a few short weeks of this, they have really made an impression on the girls. And in turn, cut back on the amount of nagging and reminding I have to do. It is like having a mantra. It is something that the girls can call to mind to help them remember how to handle a situation where they might be floundering. And I hear them reminding each other of the words and lessons they are beginning to memorize (all while improving their penmanship). Show interest when others are talking. When talking about God be serious and respectful. Wait for others before eating your dessert. Do not slouch at the table. Do not speak badly about others. Be careful to keep your promises. Do not listen to secrets about other people. Do not be too interested in other people's business. Speak clearly. Do not mumble or whisper. Make eye contact when talking with others. Do not correct your parents in public. Do not run and play in Church. Do not brag. Compliment others instead. Do not talk with dirty language. Do not dress sloppy or overly fancy. Do not be angry when corrected but thankful. Do not look down on other people. Always give guests the best. Include others in your conversation. Also, thank you so much to Brandy for including me on The Lovely List. 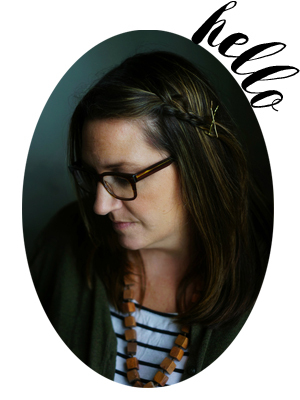 It's a pleasure to be in the company of so many wonderful ladies and beautiful blogs. If you would, take a moment and pop over to say hello. You might even want to poke around a bit. There are lots of great artists, blogs, photographers to discover. I love these Rules of Civility. I’m going to save this to teach my boyos. Thanks. loving the rules of civility. what a great idea. thanks for sharing. oh, molly, i love this.and i find practicing penmanship to be so important. kids don’t use it much anymore. in jane’s 3rd grade class, they could either write their reports in cursive or type them. most kids typed. i made jane write. and i will continue to make her write as long as it is an option. This post reminds me of a poster I made to hang in my classroom through all the years when I was teaching. We practiced and encouraged each other to think of these three things before we spoke:Is it kindIs it trueIs it necessary? If we could say “Yes” to all three questions, it was probably a good thing to say. I love your list. I think I want to do something like this for our family. It would be neat to post it somewhere in the home…. but I guess you wouldn’t really want it out for display, or would you?? This is so inspiring and great. Sometimes the overwhelming job of making kind and good humans out of these impulse driven heathens just sort of… overwhelms us, I guess. Any way to sneak in these values is a great idea, and this sounds like a fun project for my girls too, as soon as they’re writing more. I agree the art of penmenship is becoming a lost art. Thanks for posting those – I’m going to be taking your lead and having my boys practice their penmanship the same way – brilliant! Thank you for sharing this great list. I would be happy to implement this list if it helps to cut down some of the nagging and reminding I have to do. great list – i love this idea!my girl always remembers things better when she writes them herself. and these are wonderful reminders and lessons in manners. thanks! i love that you had her write in cursive. when i was a 3rd grade teacher, we taught cursive and eventually the kids had to write in cursive at all times. but i’m thinking of teaching emma some cursive this year. i think she’ll really love it since she’s really into making her writing “fancy”. what a great list – i definitely love this idea! they teach cursive starting in the second half of second grade so i bet emma would love it – kate wants to learn badly, too! by the second month of third grade, they have to do all their work in cursive. TypePadHi Erin | house on hill road,mommycoddle has replied to your comment:i love that you had her write in cursive. Molly, this post is so timely. My daughter, Helen, has Tourette’s Sydrome and socail anxiety, (akin to the Autism spectrum) that we are currently addressing with help from a behavorial specialist at John’s Hopkins. Most of the topics on the ‘rules of civility’ are things that she/we struggle with regularly. We are presently drafting a written list from which to reward and incent her progress. This is a great foundation. Thank you. Such a thoughtful post, Molly! I don’t think it’s uptight at all. If she’s going to practice penmanship, she has to copy something, and why not copy down a useful idea to live by? these are some great rules? And penmenship is becoming a lost art.. so kudos for you two on having your children learn these!! If you dont mind I might borrow your list to use for my own kids.. I love this! Saving this idea for a few years from now. Thanks for the civility list, certainly a keeper for kids AND adults. My 9-year-old daughter has learned cursive at school (as well as the most beautiful printing). They have yet to do much if any work on a keyboard. Writing thank you notes is another way to encourage kids to write, as well. Do not run and play in church?? Really? That is no fun! molly, this list is wonderful! emily’s penmanship was never better than when we were homeschooling, at that was almost two years ago! we did EVERYTHING in cursive. 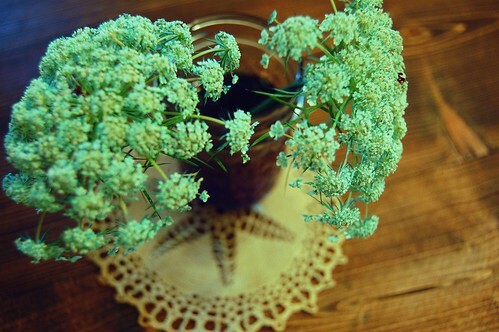 Love the Queen Anne’s Lace idea – I’m going out to pick some for the kids to dye right now. Thanks. love the civility list and want to have my kids make a similar adaptation…if that is ok with you! Great post! We are copying bible verses for penmanship however I think that list will be a great addition. Thanks for the ideas. I will email you about the house. I think it would be a fun thing to hang up, but I wonder if it would be like letting out a family secret. Your company sees your list and then would be watching you to see if you follow all of your rules. Maybe I will post it somewhere not too prominent but noticeable to the family. Like the upper floor hallway or something. What a wonderful list! I appreciate you sharing it. There is always room for kindness and civility in our lives. I love finding others who believe in the importance of manners! Thanks for sharing your thoughtful list. I love this, Molly. In Waldorf education (and I fully intend to write more about this … one of these days), one of The Most Important things for children of this age (7-9) is forming good habits. So, this is right up my alley. I may even adopt some of your rules of civility around these parts. My word…what a great idea!!! I’ve been considering what to use for our own handwriting practice and just hadn’t come up with anything great yet. Hope you don’t mind if I “steal” your idea!